I’ve known Marcos for a few years – beginning when we were both part of a mutual group of friends who traveled to Chestnut Hill so I could get my first (and second) Schmitter. Ever since, we’ve been running into each other at various food and drink events in various states of inebriation, and it’s always a fun time. This guy is so ingrained in the food scene, even his daughter has a food show. Hopefully one day we can get her to answer these questions, but until then Marcos will have to do. My wife and relocated from New York in 2008. A couple years prior, I started a food blog (remember those? ), and when we moved, I reached out to Art Etchells at Foobooz, who was kind enough to put me on his blog roll. There were a shitload of bloggers back then and everybody was super friendly and supportive (it wasn’t like this up in New York). This was also when Drew Lazor was doing Meal Ticket at the City Paper, and I wound up on that blog roll, and then Twitter happened, and suddenly I had a whole bunch of new friends. It’s funny how you find your people no matter where you go. This used to be an easy question, but Philly’s evolved so much since I’ve been here. Maybe a perfect day in Chinatown? Pho Cali for breakfast (yes, breakfast), Q.T. for a Banh Mi (or roast pork at DiNic’s in RTM), and Dim Sum Garden for dinner. Tie between 1/2 chicken at FedNuts and Karai ramen from Nom Nom Ramen. I always default to Jose Pistola’s. I wouldn’t consider myself a local, but it’s typically at the top of my list if I’m going out in Center City. As much as it pains you to hear, Pat’s and Geno’s (but we’d go to Pat’s). Feastival is the one I make it to year after year. You can find Marcos on Twitter at @fidelgastro. 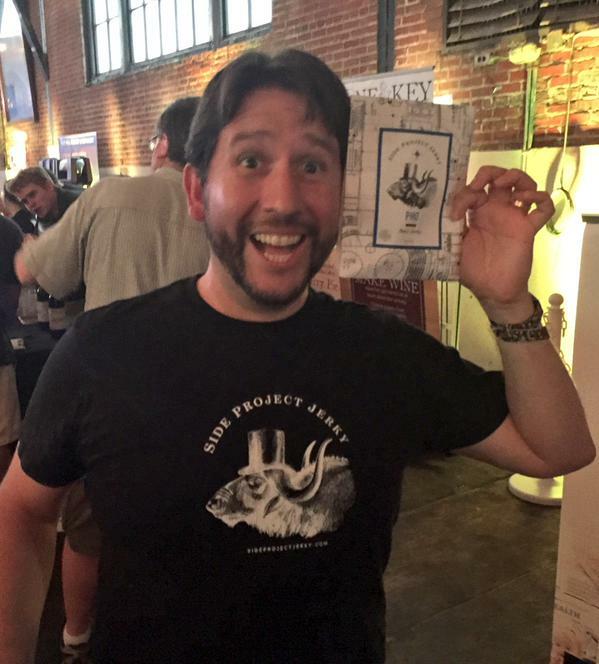 You should also follow (and buy) his Side Project Jerky. The pho jerky is especially delicious. This entry was posted on July 24, 2015 by Ryan in Philly Fridays and tagged chinatown, federal donuts, fidel gastro, philly fridays, side project jerky.